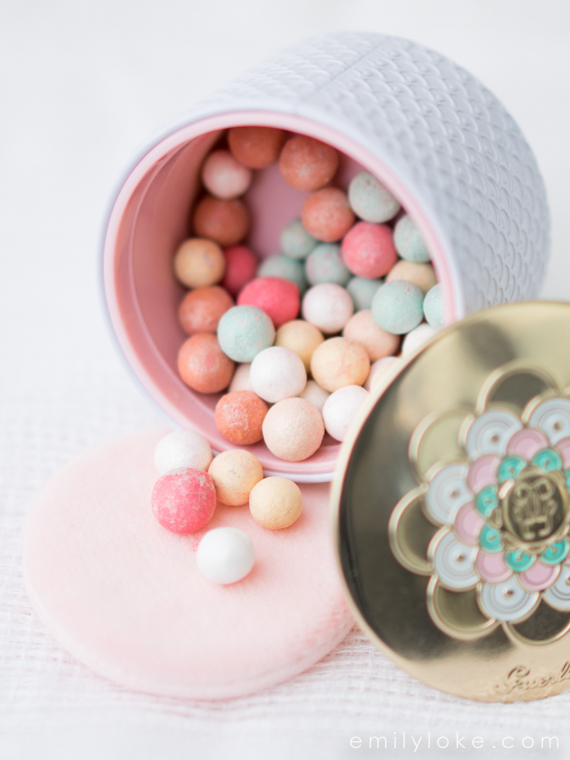 I’m taking a quick break from highlighters to introduce my little jar of rainbow stardust, aka Guerlain’s new Rainbow Pearls. 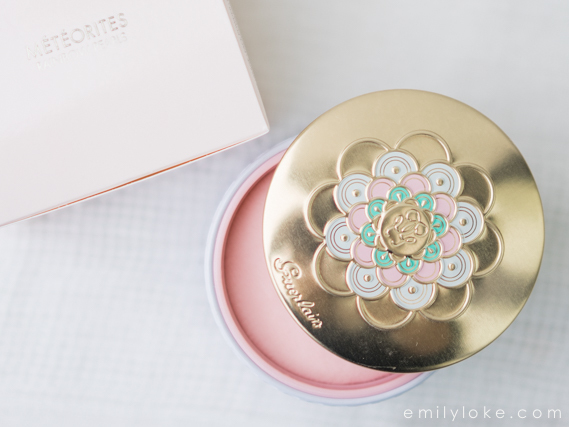 These are the limited edition Guerlain Météorites for summer 2015, and they’re absolutely gorgeous. Even the packaging is prettier than usual (though in my opinion not quite as unique as the holiday 2014 version, which I reviewed here). 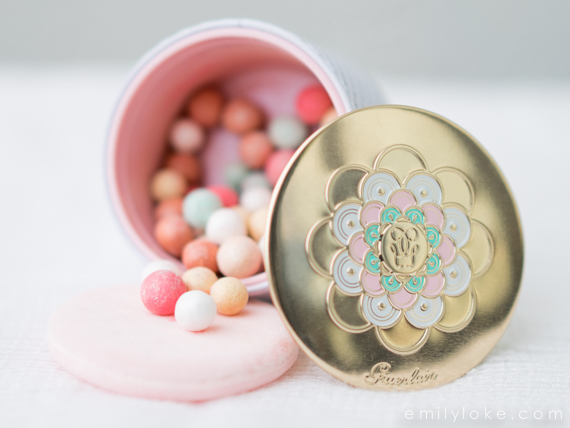 I’ve been counting the days till the Guerlain Rainbow Pearls launch and stalking their counters all week prior just in case they came early…as one does. But when I finally saw them in store today I was surprised at how shimmery they were. 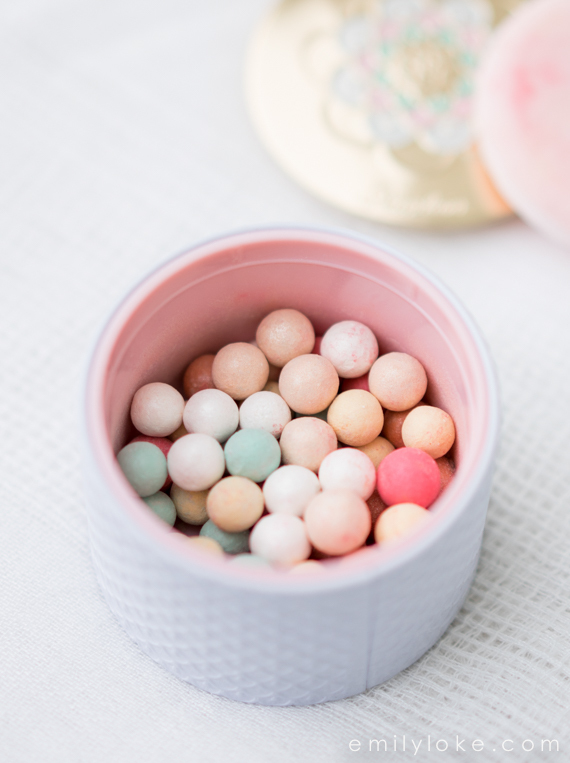 I initially tested them on my hand, decided they were too glittery and walked away, but when we passed the counter again on our way out of the mall, I lingered. They were so pretty. And so what if they’re glittery? I really like glitter. And they’re limited edition. And I’ve been wanting them forever. And I’ll probably go home and decide I should have bought them. And then they’d have sold out. And then I’d be sad, right? By the time my train of thought had arrived at the station, Adam was already returning with bag in hand. A girl could get used to this marriage thing. Anyway, that’s how they came home with me. And I’m glad they did because now that’ve I’ve worn them all afternoon, I definitely think I overreacted at the counter. 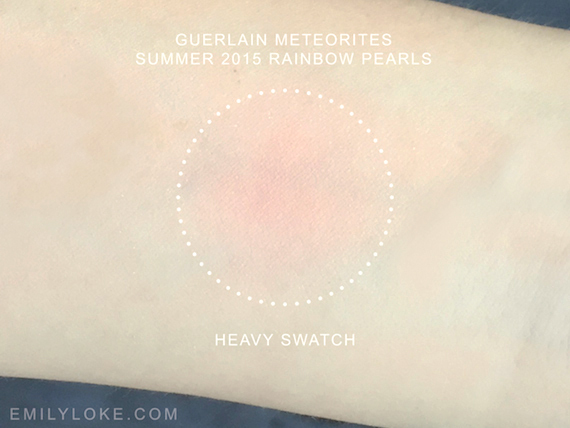 While these are more sparkly than the permanent line of Météorites, I was surprised at how subtle the effect was on my face compared to my hand. I can detect tiny flecks of shimmer if I’m literally pressed against a brightly lit mirror, but from any other distance they’re not noticeable in the least. 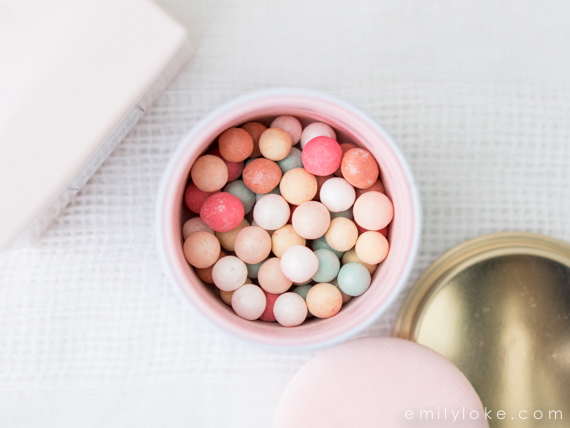 Swatched heavily with a dense eyeshadow brush, the deep pink pearls in this mix do give it a slightly rosy tint. Of course, this doesn’t show up at all when applied normally with a kabuki or powder brush and it certainly doesn’t translate visibly to your face. Please pardon the terrible iPhone photo, and my sickly pallor. Final verdict? 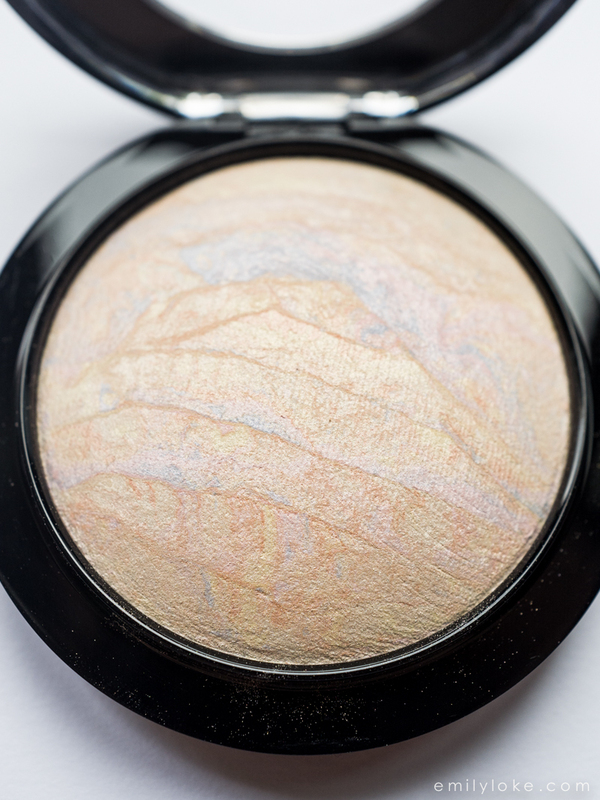 I still think of these Meteorites as rainbow stardust, but the truth is that they aren’t very sparkly on my face at all and are really very wearable. Thank goodness for decisive husbands!